It’s only fair that, since I’m asking so many questions, I should answer a few about myself. So here are some exhilarating facts. What, you didn’t ask? Well I’ve typed them all out now! 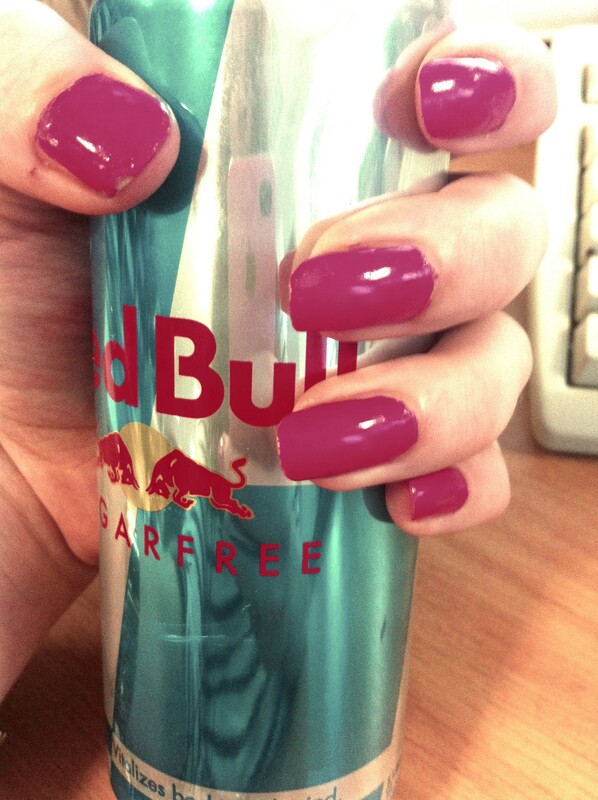 I’ve almost definitely had a Sugar Free Red Bull today. When poured into a pint glass, it looks remarkably like beer. Cue funny/covetous looks in board meetings. My favourite musicians are Jimmy Eat World and Ryan Adams. Accordingly, I spend much of my time sobbing into my ‘journal’, whilst wearing a Stetson. I work as a Communications Officer. And I like it very much. Communicating is NICE! My style could often be described as ‘Fifties Housewife’. By that I mean red lipstick and tea dresses, rather than aprons and general submission. Approximately 85% of my time is taken up by thinking about food. I like to take a break for the other 15%, and tend to spend this time eating. My favourite film is That One Where Ryan Gosling Takes His Shirt off. It’s a classic. I could have written this page (except for point #1; I don’t like energy drinks). No, seriously! You are my new virtual best friend. Ha, I like your style. I also wonder if I’ll have enough to say without being too repetitive, but I have a lot of old posts cluttering my blog that I only wrote to explain my weird mil. college lifestyle to my close friends and family and to vent about small trials and tribulations, I’ve been meaning to clean up my blog for a while now, and when I finally get around to it, I hope it’s as clean and approachable as something like this. Hello there! Thank you for the lovely comment – clean and approachable sounds good to me. I feel like I have so much going on in my brain that writing a blog is actually a very good exercise in getting a point across coherently and concisely. Don’t hold me to that, though – it could all go downhill from here! :) Will continue to read your blog with interest. You, ma’am, are hilarious. I quite enjoyed reading this. Aww, thank you! :) Very glad you enjoyed. I like this, I like you. I follow! Everyday Sexism. Are We Really Powerless? Women’s Magazines: Friend or Foe? Who, what, why? No, seriously, why?